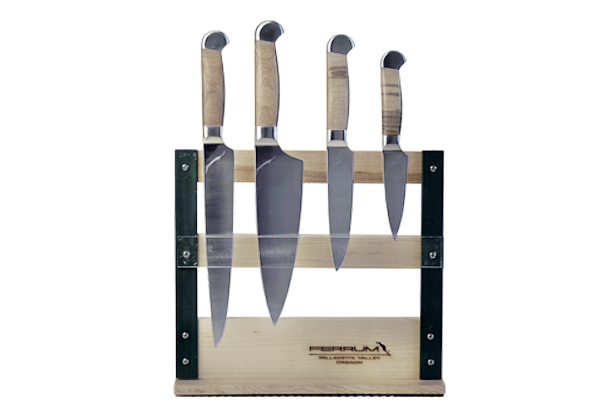 Forged from tough American steel, Ferrum’s Precision 8” Chef Knife is commercial grade and built to last. 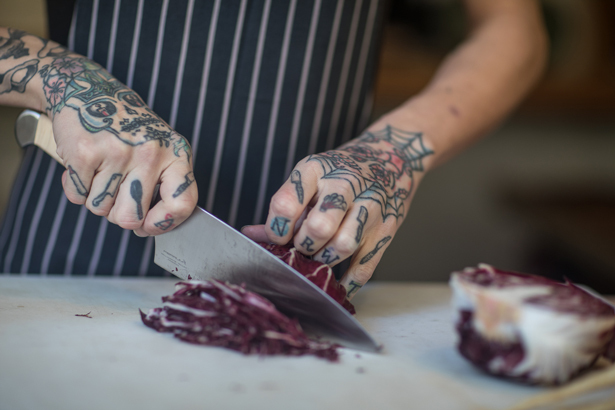 Each blade is hand sharpened to a 16 degree “apple seed” edge for long-lasting cutting performance. 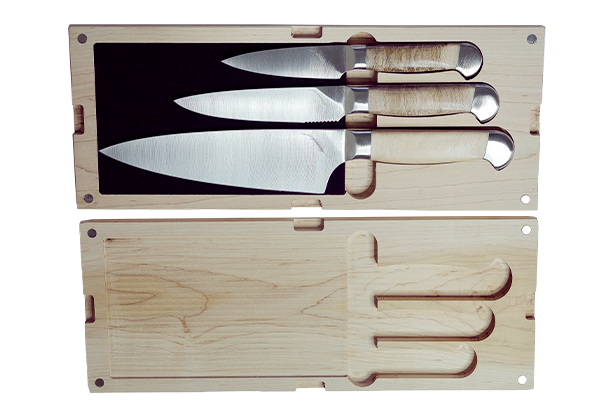 Our 8” Precision Chef Knife is essential for every kitchen. This multipurpose knife can handle nearly any task and is perfect for slicing, dicing, mincing, and chopping.